If you’re a knotted-up stress-head like me and don’t have the time for frequent massage therapy sessions (lack of time is part of the problem, right? ), then this robotic wonder-chair may be just what the doctor ordered. 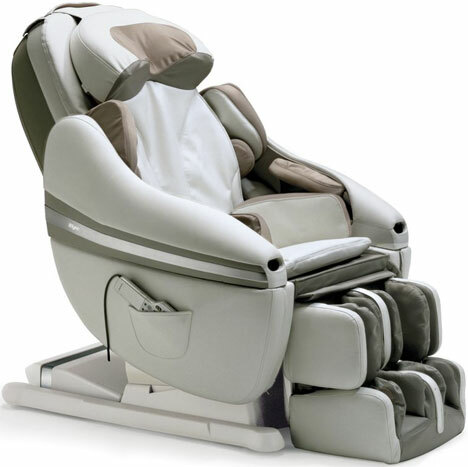 Called the Only Whole Body Massage Chair, it delivers the most comprehensive robotic massage available – delivering Shiatsu, penetrating kneading and gentle traction to over 1,200 square inches of your body. This supreme stress reliever features 22 integrated inflating air cells in the armrests alone, for therapeutic message from your upper arms all the way down to your finger tips. Your hips and outer thighs are treated by inflating/deflating air cells on both sides of the seat, while your tensed-up back receives a four-roller kneading and squeezing – which apparently provides the most faithful reproduction of actual hand massage available. 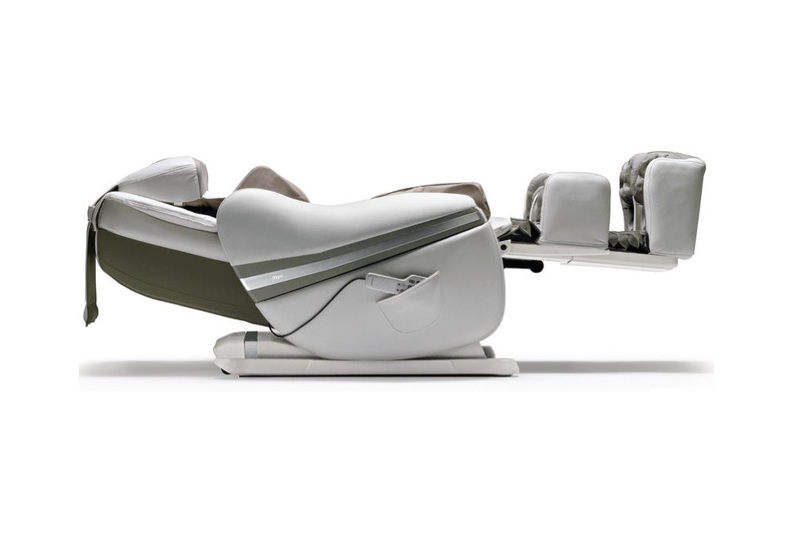 This high-tech massage chair also features optical sensors, which scan your body for Shiatsu points to develop a custom massage program tailored-made for your build. Also, not to neglect your legs, the chair includes 14 air cells which work on your calves, ankles and feet. 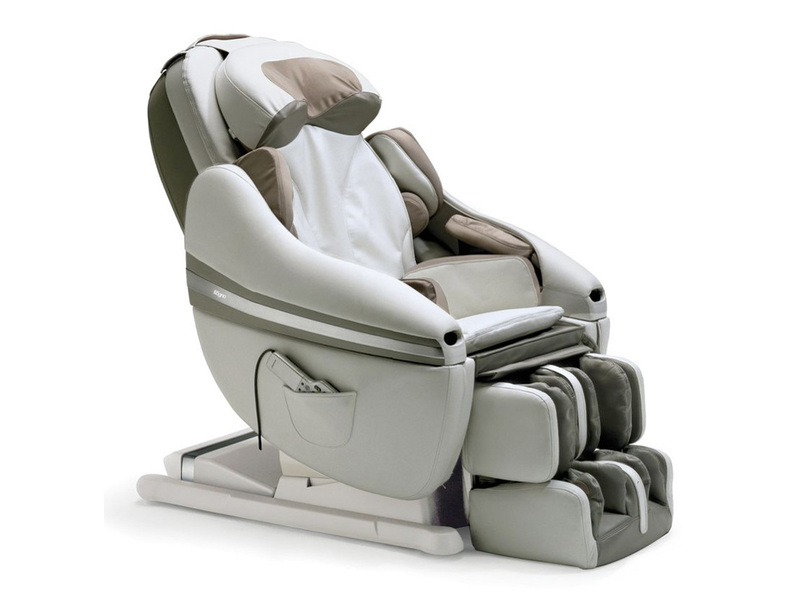 The whole body massage is fine-tuned via a remote control that provides instant access to all the chair’s functions. The Only Whole Body Massage Chair is available now from Hammacher Schlemmer for $7,000 and looks like a very convenient way to thoroughly relax at the end of each day. Newspaper, glass of wine, whole body massage chair…heaven! I could sure use one of these… thanks for the post.